Realistic Games has been operating since 2002 and in that time have managed to carve out a decent reputation within the gambling industry. What’s been refreshing to see from Realistic Games is their honest approach towards the world of online casino after openly admitting in the early days that their products weren’t up to scratch. They admirably went back to the drawing board and started over – twice! The company are based out of Berkshire, England and are actually one of only a few software developers to be based in the UK at all. The company offer up their games in a Java base, which means that they can be accessed via your desktop or even your mobile without any need to download. Realistic offers a steady range of games to choose from within their increasing back catalogue. What’s impressive to see is that they aren’t afraid to pull games that are underperforming, and they also work alongside casinos to make sure that they are offering up the best possible types of games to suit their needs. Whilst we aren’t aware of any games being specifically requested by a single casino, they do state that if a casino were to ask then they would accommodate, which a lot of companies simply would not. What Realistic Games does really well is they work with companies to get the best mobile experience. They use different products for testing from tablets to smartphones, Apple to Android, and everything in between. There is no doubt that online casino is seeing a massive shift towards mobile play, so a feature like this is imperative to stay relevant in the marketplace. The number of slots available is approaching 50 and are a mixture of 3-reel and 5-reel offerings. Each game has been individually designed to try and create a new theme or integrate a new feature, with no two games being the same. We did find that there was a fairly sizeable shift in quality between the 3-reel and 5-reel games though, with the latter having a much more modern feel to proceedings. The games on the whole weren’t all that appealing, but they did include one or two decent titles that came in the form of Wild on Safari, Snapshot and 6 Appeal. 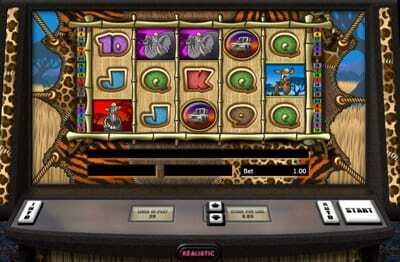 These offer a good mix of decent graphics, features, bonus rounds and jackpots between them, but once again, we would have to compare these sorts of games to the likes of Microgaming and NetEnt, two of the best in the business, and we aren’t even sure that any of these would get into their catalogue at all. So there is plenty of room for improvement although their attempts are respectable. 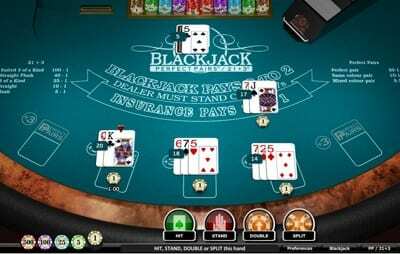 There are just three blackjack games on offer from Realistic Games; Classic, Hi Lo, and Perfect Pairs. The classic game does allow you to fire up quite a few customisations to the table and how it functions to make the game feel unique. For example, you are able to change things such as colour of the cloth, choice of cards, dealer voice, insurance options, and game command buttons. 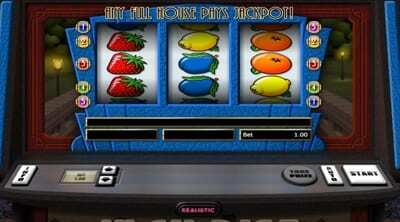 The games are fully functional with mobile devices as well and will optimise as and when necessary. For example, on the desktop version you are going to be able to play 5 berths at the table, whereas on mobile this will slim down to just 3 to best use the limited real-estate. 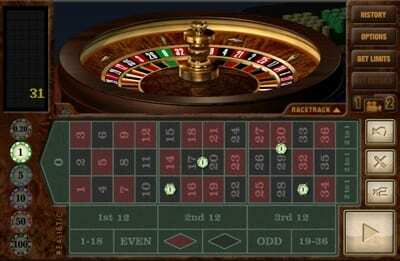 Roulette follows a similar theme to blackjack in that there is the classic game on offer plus two other variants, and they become fully customisable once the game has loaded. On top of the Classic version, players are also going to be able to access the American version of roulette, which includes double zero in case you were wondering. On top of all this, Realistic Games also include game variations of Keno, Hi-Lo Gambler (Video Poker) and Scratchcards. As mentioned earlier in the article, Realistic Games have been about since 2002 and are based out of Berkshire, England. There have been several changes to the company to turn them into the one that you see today, and whilst they have been about for a good while now, they are still looking to change and progress in one of the most exciting sectors within the gambling industry. Back in the early days between 2005 and 2009 the company only produced 6 games. They did strike deals with the likes of Ladbrokes and BetVictor at these times, but quickly realised that this was not the route they wanted to take, so closed the games down and started from scratch. In 2008 the company launched ReGal, which was to be known as the Realistic Games Library for short. They spent the next couple of years designing new games and offering their services out as a casino platform, much like the one you see today. It took them a while to build up relations with already established brands, but by 2013 they had secured spots on numerous casinos.